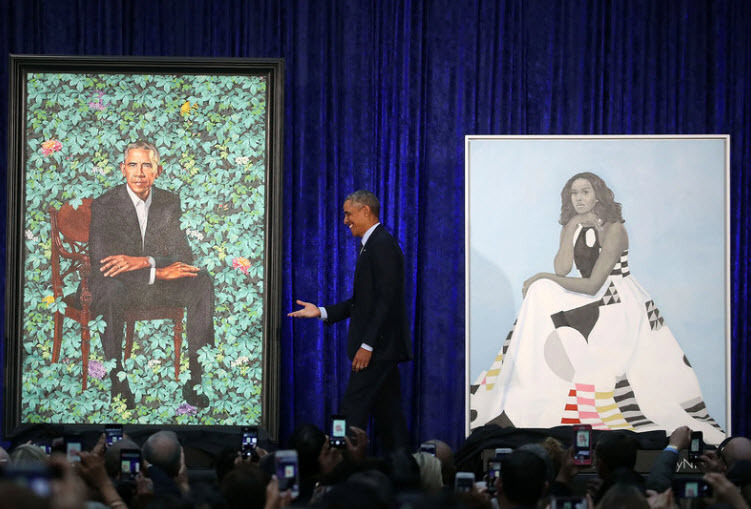 The Obamas naturally picked black artists to do their official portraits, and the quality reflects that. Michelle’s cartoon-like portrait was done by Baltimore artist Amy Sherald, “who is known for her social justice painting style.” LOL. That pretty much sums it up. This entry was posted in Black, National. Bookmark the permalink.